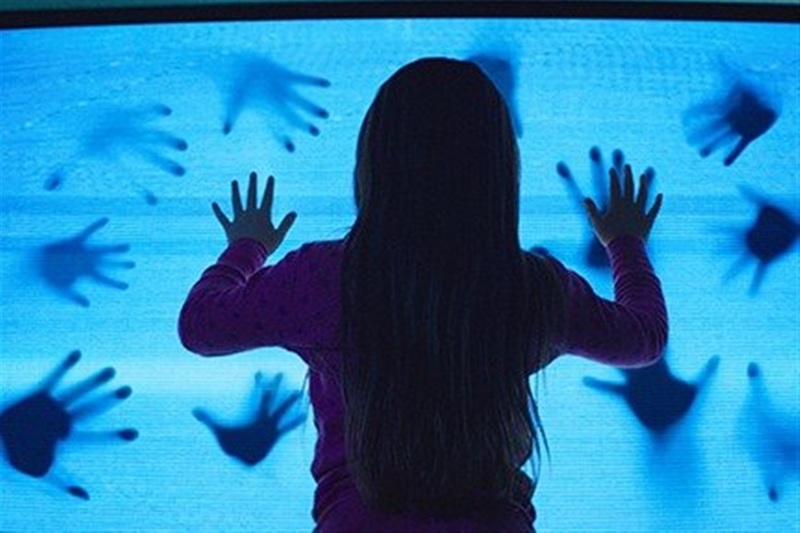 Poltergeist is, without question, one of the quintessential horror films, having instantly secured its place in cinematic history upon its 1982 release. Its horror set pieces, its music (by the late and great Jerry Goldsmith), and, of course, its performances all combined to create an experience that irrevocably seared itself into our cultural consciousness, prompting countless spoofs, awards, spinoffs, rereleases, documentaries, and – it should go without saying, especially back in the decade that was the ‘80s – sequels (Poltergeist II: The Other Side and Poltergeist III landed in the six years following the original’s debut [no, the late-’90s television show Poltergeist: The Legacy has nothing to do with the movie trilogy, in case you were wondering]). It should come as no surprise, then, that Universal would want to recruit the seminal production into its roster of attractions for this year’s Halloween Horror Nights, particularly given the 1980s theme. Not only is the film’s premise ready-made for a haunted house – it’s literally about a haunted house, one replete with spatial portals and abducted children and bulldozed-over graves – but so are many of its iconic scenes, ranging from the hallucinations of decaying meat (both steaks and humans’ faces) to the light- and toy-infused vortex that takes over the kids’ bedroom. The resulting maze could easily be one of the most visually engaging to be featured at the event in some time. Never have seen Poltergeist? Its narrative and, more especially, its visual effects may be something on the quaint side today, 36 years after its initial release, but many of its various elements have gone on to become the standard for all subsequent horror productions (it’s not unlike trying to show someone the original Godfather after he’s already seen Goodfellas and The Sopranos, although it is still, of course, a worthy endeavor). The movie revolves around a planned community in Orange County, California called Cuesta Verde, which was erected on the site of an old graveyard that was supposed to have been transported to a new location but which instead only had its headstones moved (the real-estate company behind the project was eager to cut costs wherever it could). The resulting restless spirits converge on the model home of the Freelings, attracted by the life-force of their five-year-old daughter, Carol Anne, and then essentially find themselves imprisoned there by a domineering poltergeist; they rip open a portal to the realm of the living in the little girl’s bedroom closet, abduct her, and then attempt to ward off the parapsychologists and spiritual medium who try to come to Carol Anne’s rescue. All those “fan-favorite moments” will include the Freelings’ currently-being-installed pool, replete with its floating corpses, and, of course, the iconic static-filled TV screen. Along the way, the company promises to include a number of paranormal gags, from “ghostly apparitions” to “vanishing walls and floating furniture” – but the most intriguing description comes at the very end of Universal’s press release, where it intones, “In a rush against time, guests will be forced to make it back to the world of the living or forever be trapped…” It’s unknown whether this will literally be some sort of time-dependent element or if it’s just a bit of theatrical hyperbole; either way, it does a suitable job of setting the stage and getting us pumped for the experience. 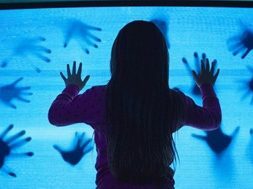 Poltergeist will join Stranger Things, Dead Exposure: Patient Zero, Trick ‘r Treat, Slaughter Sinema, Carnival Graveyard: Rust in Pieces, and Seeds of Extinction at Universal Orlando’s Halloween Horror Nights, which runs for a record-breaking 34 select nights, from Friday, September 14 to Saturday, November 3.